“Tina Osborne’s Art & Jewellery” website, galleries and shop are currently being updated. If you don’t see what your looking for please contact me! Check out my Facebook page for more recent works! 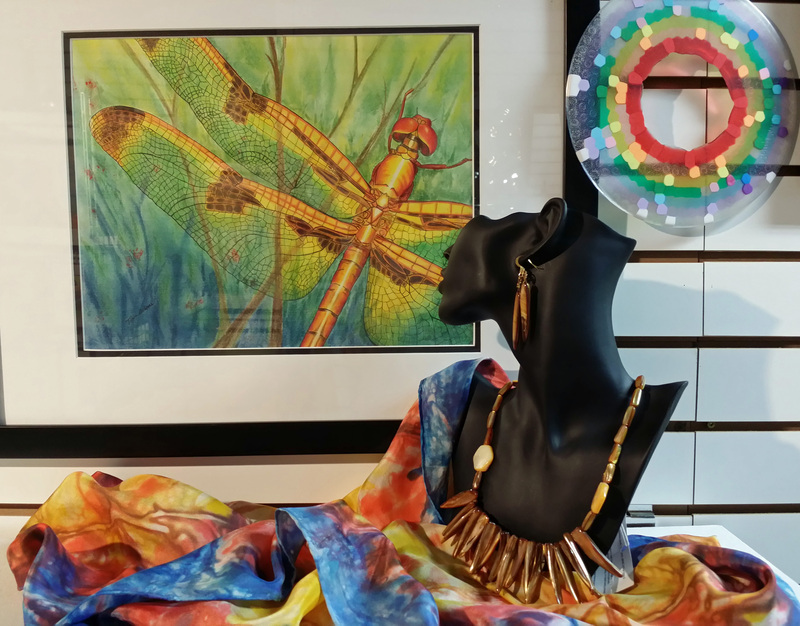 I am a multi-medial visual artist, and jewelry designer that has expanded to painting natural fiber scarves and glassware. I was also a certified Reiki Master, now retired. Art work covers all mediums and subjects… whatever catches my attention in this wonderful world both within and without! 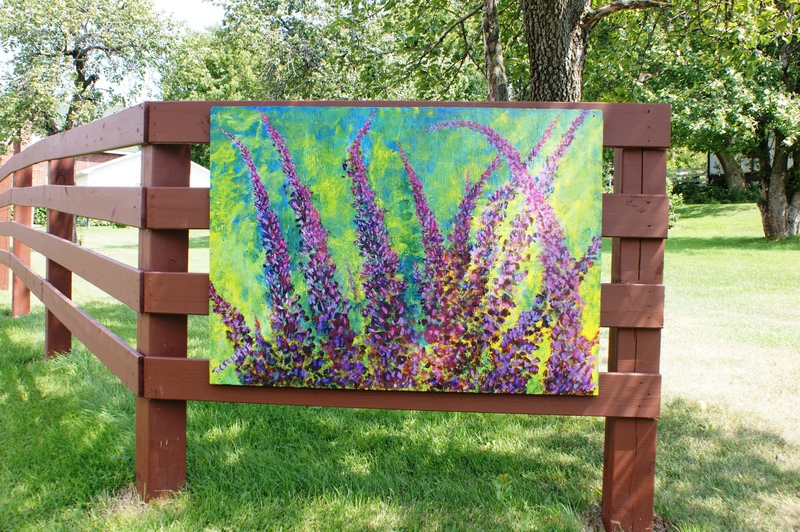 I also like to paint works that can be displayed in outdoor places. 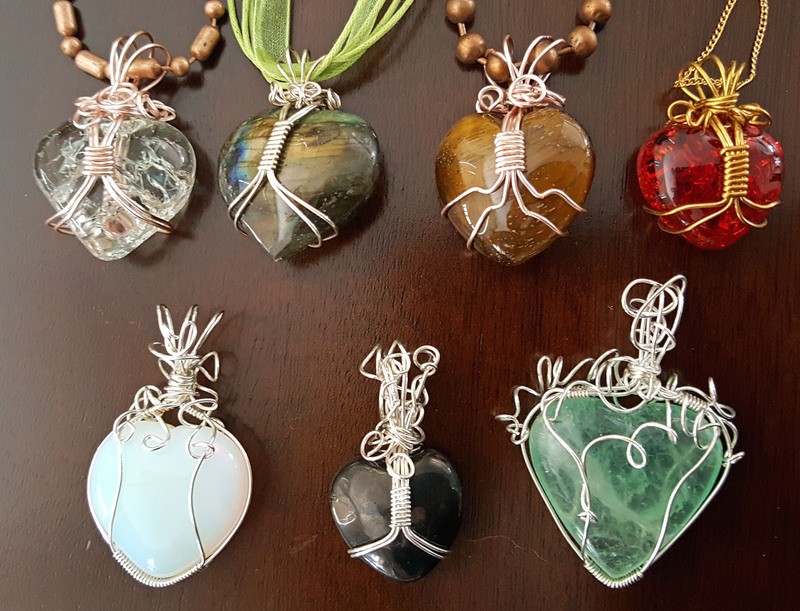 Jewelry is designed from semi precious stones, such as amethyst, quartz and malachite in gold and silver plated wire or 14k gold filled, sterling silver or copper. I have recently expanded to leather jewellery, lightweight aluminum and jewellery that is just for fun! I also have a selection of touch stones and crystals for meditation purposes or just to look at! 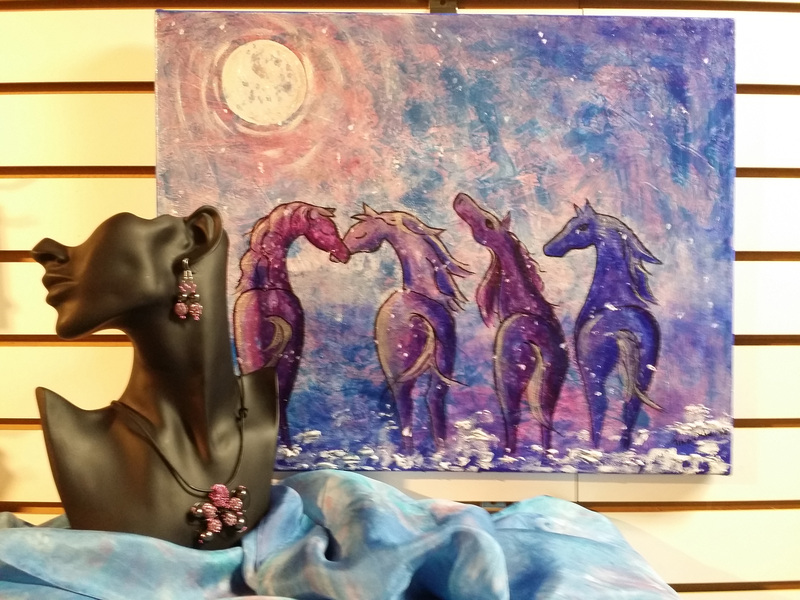 Custom and commissioned orders of jewelry, art, silks and glassware are welcome. This Website is copywrited. No part or pictures may be reproduced in any way without the express permission of the owner, Tina Osborne and Shadow Ridge Studio.